The hate comments are currently undergoing investigation. 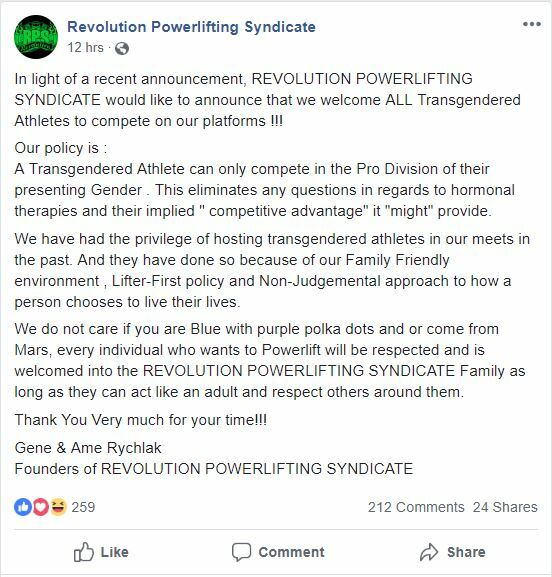 About a week after powerlifter Jaycee Cooper was denied from joining USA Powerlifting due to being a trans woman; Revolution Powerlifting Syndicate made an announcement to allow transgender participation in their own organization. This announcement was made on February 5th which resulted in many hate comments and even some death threats. Now, since the USAPL banned trans athletes from competition, there have been requests to retract the policy due to unfair reasoning. Now, the fact that the International Olympic Committee (IOC) allows transgender athletes to compete as long as hormone levels are at fair levels (No hormonal advantages) makes the situation even more frustrating. The International Powerlifting Federation (IPF) is the parent company of the USAPL, and although the IPF follows the IOC rules, USA Powerlifting decided against the following suit. 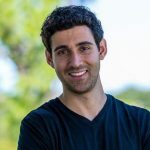 We’ve heard of no other information or updates as of currently. 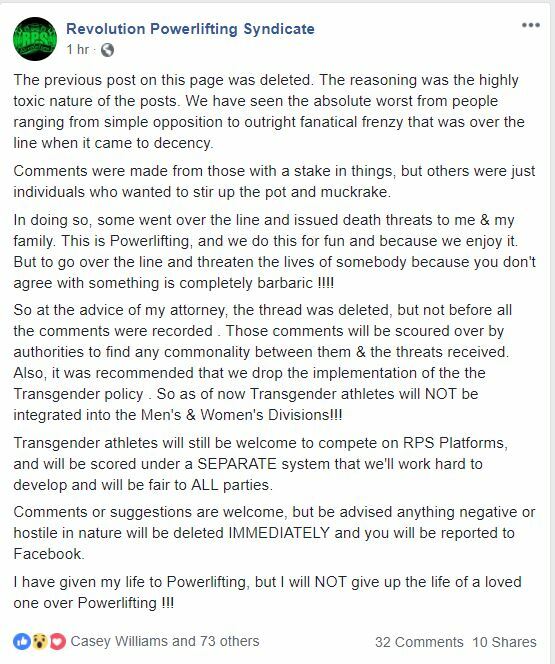 So since this occurrence, Revolution powerlifting Syndicate has had quite the turn of events (Not in a good way). Well, it wasn’t long before the hate comments started and the policy was retracted for the time being. 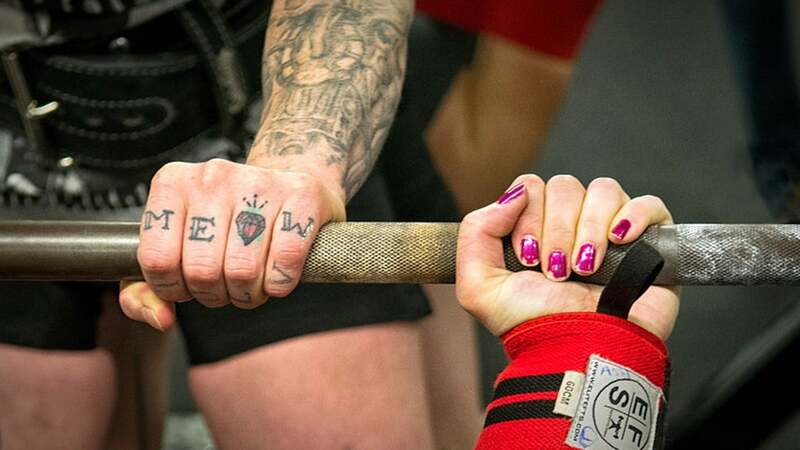 Hopefully, this situation will be resolved and the individuals who threatened Revolution Powerlifting Syndicate will be investigated accordingly. They can’t compete as men? They can’t compete classified as men?